Origin In 1756, it was invented by French chef of Duc de Richelieu. The thick and creamy sauce which is made up of egg yolks, vinegar or lemon juice, oil as well as seasonings is known as mayonnaise. When the mixture is whisked rapidly, the oil is added drop by drop. When it thickens, the oil could be added rapidly. After it is whisked properly, seasonings are added. It is an emulsion which means it is the combination of two liquids that cannot be mixed. For example: oil and water. Emulsifying is the addition of one ingredient slowly to another and mixing speedily. It dissolves tiny droplets of one liquid to another. It is white to yellow in color. In the absence of emulsifier, the two liquids separate again. Egg yolk acts as an emulsifier due to the presence of proteins and lecithin. It has thick texture with satiny appearance. The use of mixers, blenders and food processers makes it easier to prepare mayonnaise. It is used as a base for the sauces such as tartar sauce and salad dressing. Egg free mayonnaise is also available for the vegans who avoid cholesterol, animal products or people allergic to eggs. In 1756, it was invented by French chef of Duc de Richelieu. When the British were beated by Duc at Port Mahon, the chef invented a victory feat which includes the sauce made from eggs and cream. After realizing that the cream was not available in the kitchen, he used olive oil instead of cream. This is how this culinary was born. Then the chef named it “Mahonnaise” in the respect of Duc’s victory. One cup (231 grams) of mayonnaise contains 129.36 g of water, 769 calories, 2.08 g of protein, 76.92 g of total lipid fat, 7.16 g of ash, 15.48 g of carbohydrate and 9.7 g of sugars. 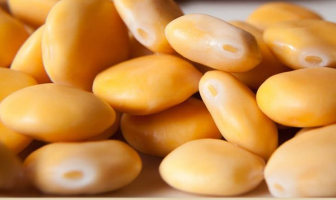 We could also find 1693 mg of sodium, 14.85 mg of vitamin E, 57.1 µg of Vitamin K, 15.48 g of carbohydrate, 3.7 µg of selenium, 2.08 g of protein, 155 mg of potassium and 16.2 mg of choline in 231 grams of mayonnaise. Besides dressing, it is used in sandwiches as well as salads. It is loaded with enormous health benefits. As it is made from plant oils, egg yolk and vinegar, it helps to maintain healthy hair as well as skin. Moreover, it is an excellent source of Vitamin E that maintains soft and younger looking skin whereas Vitamin K stimulates the development of tissues. It is loaded with proteins which strengthen hair strands. Mayonnaise is a deep conditioner which helps to maintain the shine of hair. It is made with plant oils and protein which helps to strengthen hair from roots to tips. Apply mayonnaise after shampooing to the damp hair. Massage it for about 3 to 5 minutes. Then put shower cap. Wash after 30 to 45 minutes with cold water and diluted shampoo. Weak nails are the result of dryness and frequent hand washing. Mayonnaise helps to make the nails lustrous, healthy and strong. Apply mayonnaise on nails and leave it for five minutes. Mayonnaise has nutrients which helps to enhance moisture and lowers wrinkles. Eggs have protein which restores skim plumpness. It is loaded with natural oils which restores skin’s radiance. Apply mayonnaise to the face after washing face by avoiding eye area. Let it remain for about 15 to 20 minutes. Then wash face by massaging skin to enhance circulation. Moisturize the skin well. Mayonnaise has Vitamin K and E which helps to promote the repair of cells. 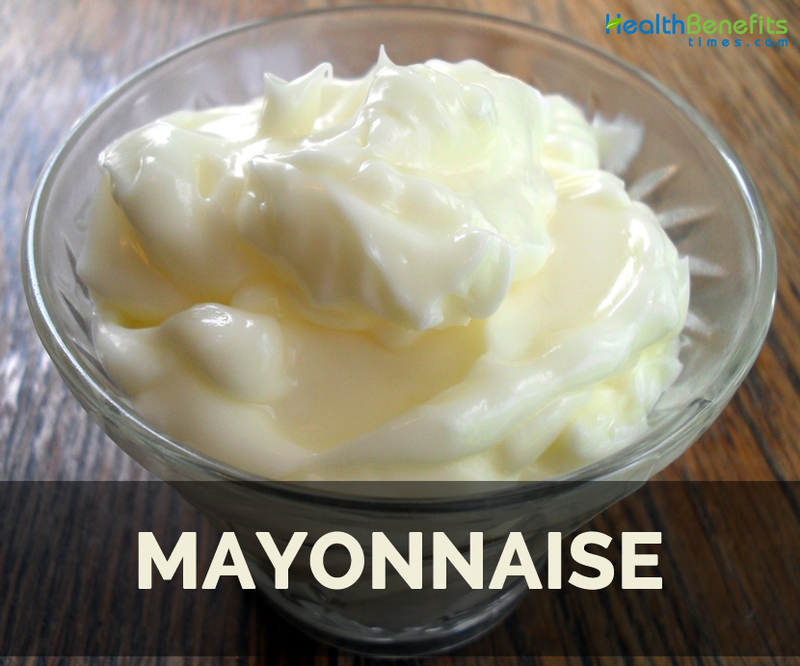 Mayonnaise helps to lower inflammation, cools skin, reduce redness and speeds up healing process. Apply mayonnaise on the affected area and leave it for about 10 minutes. Rinse off with mild cleanser and warm water. Massage mayonnaise to the hair and scalp before getting to bed and cover hair with shower cap. Then in the morning shampoo the hair and with the use of fine toothed comb the hair. It should be repeated for 7 to 10 days. It is mostly used as a condiment. It is used as a base for salad dressings and chilled sauces. It could be used as a spread on sandwich and chicken salad. It is served with fish and burgers. It goes well with bread, potatoes, bagels and sandwiches. The flavor of mayonnaise could be enhanced by adding lemon, wine vinegar or lime juice. While using it with salad, use half plain yogurt and half mayo to reduce the calories. Some flavorings, spices or herbs could also be added to mayonnaise. It is used along with mustard, ketchup and relish as a condiment for sandwiches. A tartar sauce could be made by adding chopped onions, pickle relish and cabbage to mayonnaise. Blend relish and ketchup with mayonnaise as a dressing for sandwiches of Reuben. It could be used as a dipping sauce for French fries. Excessive use of mayonnaise could lead to obesity and further health problems. It should be consumed in limited amounts. It contains about 70-80% fat. The third highest consumer of mayonnaise in the world is Chile. It is also prepared at home. Aioli is the name for Garlic mayonnaise. It is made with egg yolks, oil and lemon juice or vinegar. Tartar sauce and aioli has the base of mayonnaise. It was invented by French chef in 1756. Mayonnaise could be made without eggs as well. It is a great remedy for head lice. Mayonnaise is the creamy sauce which is made by beating egg yolks and oil with some salt, wine vinegar, mustard and pepper. It is usually used for salad dressing and used with poultry, seafood, vegetables or eggs. It is an emulsion meaning that the combination of two liquids which couldn’t be normally mixed. It is done by adding one ingredient slowly to another and mixing swiftly. The commercial mayonnaise must have 65% of oil in it. Blenders, food processors and mixers could be used to make mayonnaise. Native In 1756, it was invented by French chef of Duc de Richelieu. Calories in 1 cup (231 gm) 769 Kcal. It is used as a condiment. It is a base for salad dressings and chilled sauces. Lemon, wine vinegar or lime juice helps to enhance flavor of mayonnaise. It is used with mustard, ketchup and relish. It is used with French fries. The high intake of mayonnaise leads to obesity. It is composed of 70 to 80% fat. Chile is the third highest consumer of mayonnaise. It is an aid for head lice. Calories 769 Kcal. Calories from Fat 692.28 Kcal. Calories 517 Kcal. Calories from Fat 387.09 Kcal. Calories 838 Kcal. Calories from Fat 835.2 Kcal.